Henry B. Gardner makes his Boston Center for American Performance and New Repertory Theatre debut. Boston credits include Las Meninas (Boston University). Off-Broadway credits include The Last Days of Vincent Van Gogh (Chernuchin Theatre). Regional credits include Twelfth Night (Colonial Theatre, RI); and Into the Woods (Oscar Schindler Performing Arts Center, NJ). Henry was born and raised in West Orange, NJ and has trained at the Stella Adler Conservatory in New York City. 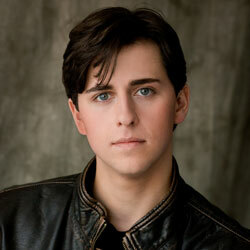 He currently lives in Boston while he is pursuing a BFA in Acting from Boston University.